LED lighting is better than incandescent lighting for the environment. However, making the switch is still a challenge you may be unprepared for. Of course, you can go the easy route and simply replace your existing incadescent screw-in lightbulbs with LED ones that are compatable. Nevertheless, there are still some things you need to know. In the beginning this may not seem like a lucrative switch. After all, these lights are more expensive even though their prices are dropping. However, when you see them as a long term investment, the payback that you receive in a few years is worthwhile. This is because LED technology (e.g. diodes, heat sinking, etc.) let them far outlast incadescent lightbulbs. In fact, some can last for over two decades before you’ll ever noticing them dimming. Think about this in comparison to the approximate two year life span of incandescent lightbulbs. Another nice fact is that even when they start to decline, they do so gradually instead of suddenly burning out on you. Besides saving on lightbulbs, you can also save on energy. Studies show that simply swapping out one lightbulb with LED lighting will reduce your energy consumption by as much as 70 – 90%. When you do the math, you’ll discover that this means you can save $30 – $80 on your utility bills throughout the lifespan of a single lightbulb. The reason this works so well is that LED lighting converts 95% of the energy a single bulb consumes into light. This isn’t a claim that incandescent lightbulbs can honestly make. In fact, studies show that they only convert about 10% of energy into light. The remaining 90% is wasted as heat. While all this sounds great, you must understand that not all LED lighting is created equally. All you have to do is simply search through the Energy Star website and you’ll see why these lightbulbs warrant their rating over incandescent lightbulbs. It’s also important to mention that incandescent lightbulbs have a way of throwing off light at all angles. This makes it difficult for you to direct the light. On the other hand, LED lightbulbs are directional, which means that you can easily focus the light wherever it’s needed the most. You should also know that LED lighting has a range of color temperatures. This really isn’t something new since every lightbulb has a Correlated Color Temperature (CCT) that corresponds to a Kelvin (K) temperature scale. A lightbulb that has a lower number of Kelvins offers a light that isn’t only warmer, but is also more yellow. On the other hand, the higher the number of Kelvins, the cooler and bluer the light the bulb gives off will be. It’s up to your personal preferences what light color you want, but “natural white” or “cool white” are great choices for general ambient light in places like your kitchen while bluer, more natural light or “daylight” bulbs work better for bedside reading lamps. Typically, you can dim an LED, but this performance is determined by the driver quality and its compatibility with the control. As such, not all LEDs are compatible with your current dimmer switch. As such, you’ll want to take some time to find what is compatible and will function to your standards. Hopefully this information will help make the switch to LEDs easier for you. However, there really is a lot more information available on this topic. 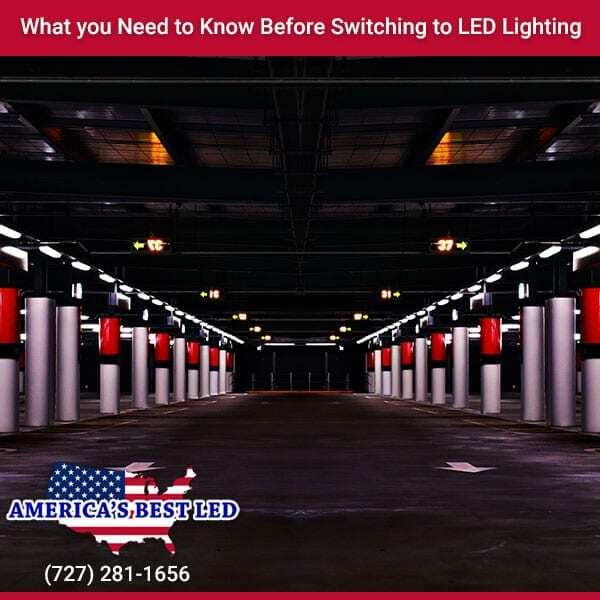 What you’ve read about here are the main factors that influence people’s decisions to switch to LED and which you’ll find will heavily impact your decision as well.